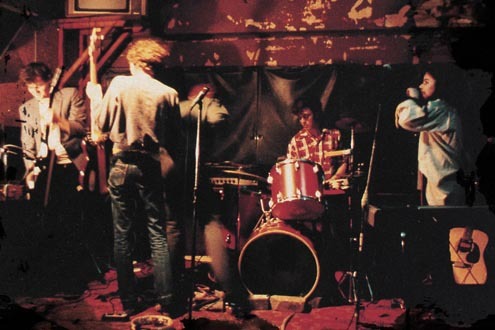 Contemporaries of The Triffids, The Lighthouse Keepers bowed out in 1986 via a sold-out Graphic Arts Club show. Along the way the band had released an album, a mini-album, three singles (including two genuine Australian classics in Gargoyle and Ocean Liner) and spent serious amounts of time based in London and touring around Europe. Original band members Greg Appel (seen at the Fringe last year in the guise of producer/writer for the stage play Van Park, which starred Steve Kilbey & John Paul Young), Juliet Ward, Stephen O’Neil and Michael ‘Blue’ Dalton will reunite to launch a new single CD collection Ode to Nothing – the Very Best of The Lighthouse Keepers. Friday 9th September: Sandringham Hotel, Newtown. Lighthouse Keepers play two sets + mystery guest speaker. Check out the Youtube clip put together by Greg Appel featuring classic pics and early press clippings to the tune of Lip Snipe Groin.